What are the Key Components in Successful, Reliable Check Printing? There has been a lot of talk over the last few years about checks going away. Indeed, we have seen a significant drop in the volume of checks processed in the US. However, what most people don’t understand is that the lion’s share of this volume decrease was from the consumer sector, easily the largest segment of annual check volume as a whole. New technologies and old technologies have served to provide more payment vehicles for the average American, such as online bill pay, debit cards, credit cards, mobile payments, pre-paid cards, etc. Many people think that Check 21 (The Check Printing for the 21st Century Act, signed into law in 2004) was responsible for the drop in check volume. Actually, Check 21 had nothing to do with the decrease. Simply put, Check 21 made the inter-bank process more streamlined by eliminating the need to transport paper checks across the country for clearing. It also reduced check float, which was not well received in some sectors. There is resistance to spending money on new, poorly understood technologies to do something that is being done today, at a known cost, with a known process, with known technology. An organization’s payment process is business-critical. Risk must be minimized and controlled and the process needs to be robust and secure. Checks	are	still	“the	easiest	way	to	pay”	for	most	organizations. Another important decision factor is right-sizing your payments platform. Are your volumes increasing or decreasing? Would a distributed print solution be more beneficial to your business strategy, or will a centralized operation fit better with your operational needs. Ricoh and Rosetta Technologies can help you analyze your process and develop a solution that fits… not the other way around. So, the advice from the experts is to avoid trying to save money by buying a standard laser printer and 3rd party MICR toner cartridge, as the results might not be what you expected, nor will the savings be justified should issues with MICR quality arise. Go with a known provider of MICR printing systems, one that provides a MICR Guarantee to protect you from bank charges stemming from poor quality MICR. Rosetta Technologies stand by our commitment to our products and to your success. Rosetta has been developing and delivering payment systems since the early 1990’s. From our exclusive partnership with IBM, providing our MICR technology for their print platforms, to our relationship today with Ricoh, one of the world’s top manufacturers in the printing industry, Rosetta has built payment systems that take advantage of a multitude of important partnership benefits. 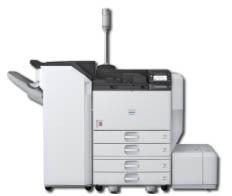 Ricoh has world-class innovation, engineering, manufacturing, global distribution and service. Rosetta’s advanced research and development group, working in partnership with Ricoh engineering, has developed a wide range of MICR printers that are setting new standards in the industry. Coupled with our advanced software systems, we are together offering customers new MICR performance standards and quality, advanced print management and unparalleled support around the globe. 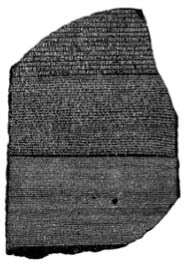 Rosetta is also a standing member of the ASC X9B Committee, the organization that develops and sets the standards for MICR, checks, and a host of other payment vehicles. As such, we are always in the know about the latest standards and are able to ensure compliance with our products. Today, in partnership with Ricoh, we offer the widest range of MICR printers in the industry, from 31 pages-per-minute, up to 136 pages-per-minute. Together with Ricoh, we offer comprehensive on-site service programs to support this businesscritical application. Rosetta also owns all the key technologies. We engineer and design every MICR printer we bring to market, from the toner formulation, print engine settings and optimization to the printer-specific MICR fonts. Additionally, our software development team has created some of the most functional and robust software platforms in the market today. These products are designed to securely drive disbursement processing and banking applications, while meeting the needs of organizations of all sizes and industries. Tying together the different components and inputs and outputs of any disbursement system usually requires a sophisticated piece of software, normally called middle-ware. Rosetta Technologies has designed our products to be the glue that ties this critical process together, but does not require re-writes, customization or the insertion of proprietary code. Indeed, we make sure that you don’t have to touch your legacy applications by providing interfaces that accept standard data formats from all sorts of financial applications. Furthermore, we build in security and audit logging so you don’t have to worry about sensitive data, unauthorized access or having no operational history. Printing AP, claims and payroll checks can be a time-consuming process for any company. And, using pre-printed check stock is expensive and a potential check fraud risk. 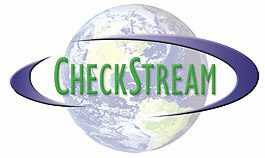 CheckStream is an easy-to-use software application that lets you manage your entire check issuance process, securely and accurately. It incorporates logos, signatures, the check form and variable data for one-pass printing. Checkstream has interfaces for most accounting software being used today. CheckStream Professional lets you manage your disbursement process across your entire enterprise, including remote check printing. In addition, a Positive Pay module is available to increase security in your payments process. Multiple bank accounts, multiple check forms and a host of features make this an extremely powerful payments platform. Optimized for commercial printers, CheckStream commercial provides all the elements required to generate checks in a commercial print environment from blank check shells to promotional and EOB applications. Rosetta Technologies’ item returns processing solutions offer financial institutions an affordable, reliable option for processing inclearing return items. A total all-in-one solution allows X9.37 files from the Federal Reserve to be converted into return IRDs and printed on the included Rosetta Technologies IRD Printer. Complete control over the process includes viewing X9 files, reprinting, and audit logging. 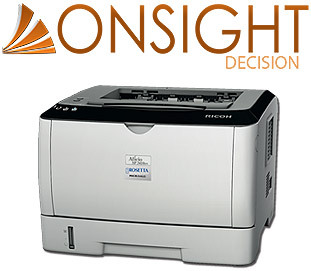 In addition to the features and benefits of OnSight, OnSight Decision provides business-rules based decisioning capabilities, automatically printing items for charge back and creating an outgoing X9.37 file for represented items. Customized charge back documents can be created that include customer-specific data, required legal verbiage and an attached return IRD. The X9Print family of applications is the most robust and scalable IRD printing software available on the market today. The systems provide a complete and extensible printing solution that outputs IRDs for all types of IRD printing environments, local or distributed. It supports job sorting and re-composition, audit and security functions, and printer fail-over protection, to name a few features. osetta Technologies’ item returns processing solutions offer financial institutions an affordable, reliable option for processing inclearing return items. A total all-in-one solution allows X9.37 files from the Federal Reserve to be converted into return IRDs and printed on the included Rosetta Technologies IRD Printer. Complete control over the process includes viewing X9 files, reprinting, and audit logging. Designed by Rosetta engineering to manage large enterprise print environments, the Print Manager can control a multitude of printers, either in remote locations or centrally. With a graphical user dashboard, printing can be monitored and controlled to meet the unique requirements of any digital printing environment. Features such as print and hold, job splitting, job re-start, printer information logging and a host of other tools and functions provide for an easy-to-use, cost-effective and powerful tool for controlling multiple devices across the enterprise. Rosetta Technologies strives to provide the highest quality products and services suited to meet our customers’ needs. Because our products function as mission-critical applications, fast and responsive support is essential. Our highly trained hardware and software support technicians are equipped to provide the highest levels of customer support - from routine maintenance questions to specialized assistance for complex hardware and software issues.